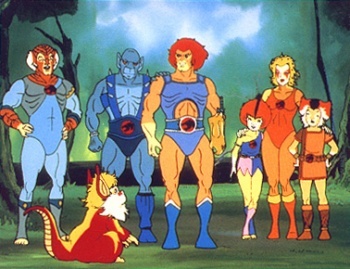 A strange disappearance has nicked the perfect record of enjoyment ThunderCats once brought to the world. Stephen Perry, an author of several ThunderCats episodes, recently went missing amongst a mysterious and somewhat disturbing situation. MyFox reports that Perry disappeared from his Zephyrhills, Florida home and that grisly discoveries were made in the surrounding area. For one, a van was found nearby with a man's severed arm inside. More human remains were found in a dumpster at a gas station two miles away. Perry's home, which he shared with two roommates, was found ransacked. The roommates, Roxanne D. Davis, 49, and James W. Davis, 46, had gone AWOL but were found and arrested presumably in relation to the still unfolding incident. Both have been charged with various crimes including possession of controlled substances, violation of parole, grand theft and burglary. Perry's whereabouts remain unknown. ThunderCats is an awesome animated series that ran from the mid-to-late 1980s that is sort of like a sci-fi He-Man starring cat people. Perry wrote seven episodes of the show, also worked on SilverHawks, and had a brief stint at Marvel Comics. He had been struggling with cancer and finances, with fans assisting him to pay rent and other bills. It doesn't seem like Perry would be the prime target for a robbery, but the situation here is quite odd and grisly so let's just hope he ends up okay.